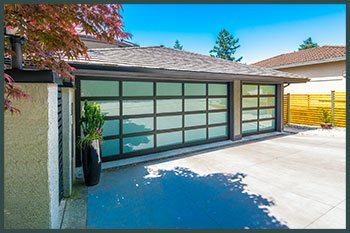 Homeowners nowadays want garage doors that enhance the beauty of their homes and hence installing custom garage doors at their home that are built specifically based on their individual needs. These doors are not just visually appealing but also can be customized to add various features such as insulation or weatherstripping to protect the garage from changing temperature or harsh weather. At Two Guys Garage Door Service we not only help you choose a garage door but we also help you build one from scratch. We offer cost effective solutions for individuals who are looking to add a personal touch to their garage doors. Our highly-creative team can build a garage door for you based on your needs and within your budget. We never compromise on quality and provide you with the best options that suit your liking as well as your budget. You can choose from a wide range of materials and garage door types and our team will do the rest. Our artists help bring your vision to reality. They understand your requirement carefully and then provide you with a sample design. Once you have approved the design and chosen the garage door, the material for the door and all its components, our experts start working on bringing your dream to reality. By working hand in hand with our customer we ensure that our customer has the final say in all matters, be it the design, the choice of the garage door and the material used. Sometimes a custom garage door is the only answer to your quest for a perfect garage door. 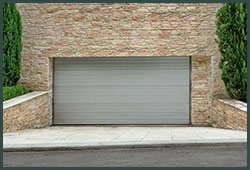 Our garage door experts can customize any kind of door for you so that you don’t have to compromise on design as well as durability. You can choose from a wide range of doors like sectional garage doors, electric garage doors, roller garage door, wooden garage door, etc. and we will customize it for you. At Two Guys Garage Door Service we don’t charge our customers extravagant rates for customizing their garage doors. At the same time, we provide periodic repairs and maintenance assistance for keeping your garage doors in top notch condition. If you’re in Prior Lake, MN, call us today on 612-924-1438 and give us a chance to improve the aesthetic appeal of your home.